The company has made a mark in the business of manufacturing, exporting and supplying Slitting Cutter of world class quality. We offer the best quality HR & CR Slitting Cutters that are widely known for quality, reliability and durability. Designed by experts, we make use of HCHCR D-2, D-3, H-11 and H-13 steel for producing these Slitting Cutters. 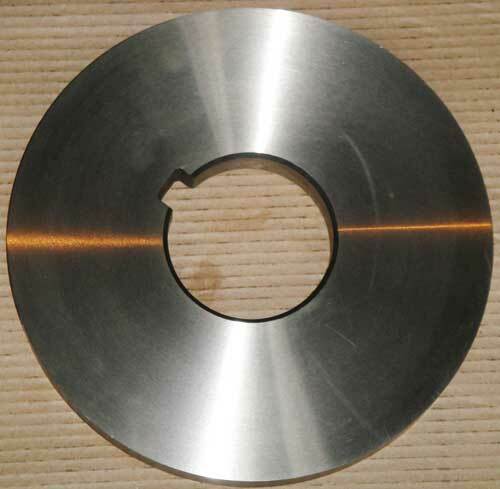 Our Slitting Cutters have longer life between regrinding and have sharp uniform shearing edge after each regrind.Â Additionally, the clients can obtain these precisely designed Slitting Cutters at budget friendly prices from us. Why Prefer Our Slitting Cutter?